As stated earlier, we will not express any team opinion on any placement report published on InsideIIM.com and we will write one post which encapsulates the entire season after all placement reports are published. – Choppies, the leading FMCG retailer in Botswana and South Africa, offered 4 roles across different functional areas of the business in Finance, Operations, and Sales & Marketing. The internship will be based out of Botswana. – In recognition of the global standing of IIM Calcutta, World Bank visited the campus and offered 3 positions in their Financial Instruments and Treasury departments. – M.H. Alshaya Co. offered a new profile in their Fashion and Footwear vertical based out of Kuwait. – Aditya Birla Group exclusively offered a position in their Gaming Division at IIM Calcutta. – BASIX, a livelihood promotion institution with over 3.5 million customers, visited an Indian campus for the first time. The firm has previously recruited only from international B-schools like Harvard, UCLA and Wharton. – Wild East Group, the Brand Management Company with high profile clients such as Hrithik Roshan and Yashraj Films, hired for their core branding team. – GamePlan, a sports management firm with clients like Kolkata Knight Riders, Liverpool Football Club and IPL, recruited exclusively from IIM Calcutta. – Jones Lang LaSalle, a real estate consulting firm based out of the Middle East, hired interns for their Indian Operations from IIM C.
The report in the InsideIIM format is given below. IIM Calcutta also has a policy to not reveal stipends for summers. We would like to thank the placement committee of IIM Calcutta for providing information in the InsideIIM.com format. We believe it will be of immense help to readers, aspirants and recruiters. This is the seventh in a series of reports that InsideIIM.com will bring to you this season. We are committed in bringing you a complete picture. We will also ensure that no irresponsible reporting is done on this website. Attempt will be made to verify the data with the institution before any publishing is done. However, lack of response from the institution will not prevent us from providing insight to our readers. We must also put a disclaimer that despite our best efforts it is not always necessary that the data given to us is 100 % accurate. Surprising to see Morgan stanley give a miss to Finance campus of india ! Goldman Sachs too missing….. But that is not the point.. I am sure this is a one-off case in which Morgan or Goldman did not visit from THE campus. But otherwise looks like a balanced placement report. With a batch of 450 odd students, I'd say it is a splendid performance. What are the type of roles on offer at Facebook? They went to FMS exclusively this time around. JFYI, they visited IIMA for the usual foreign desks position. Yes, it was surprising that they gave a miss to IIMB and IIMC and instead chose FMS. So typical of people to focus only on the negatives. The positives far outweigh them and its probably the best summer placement among all campuses. I'd rate it a little higher than IIM B. IIM A is a mystery but what we have read in the media, not too many highlights. Typical to see FMS kids here blowing their own little Morgan Stanley trumpet all season. Get a Life! Thats one company! Let us not even get into misses at FMS. Not sure, but I think IIMB has not even mentioned any highlights. Looking at the number of offers, IIMB got around 265 offers in the first two days., which is around 70% of the batch. The corresponding figure for IIMC was 230, which is around 50% of the batch. Even the coveted Day Zero saw 110+ offers at IIMB,which is around 30% of the batch, while the corresponding figure for IIMC was 85+ which is around 20% of the batch. I am tempted to rate IIMB a little above IIMC as far as this year's summer placements are concerned. And while IIMA is a mystery, there was no bank/consult which visited IIMB or IIMC and did not visit IIMA. 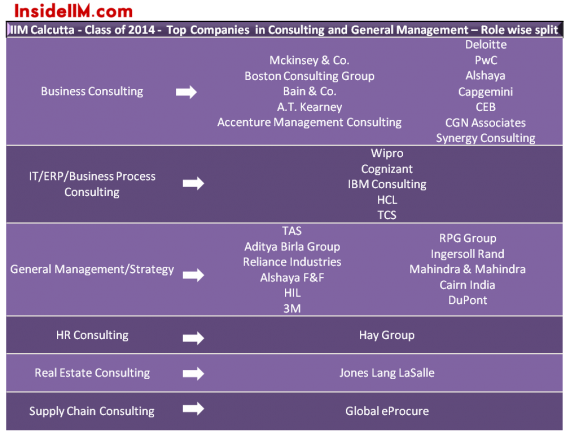 Infact, there were a few firms, which went to IIMA alone, which otherwise are regular recruiters at all the 3 campuses. So, I would rate IIMA above both IIMC and IIMB, as far as summer placements for this year are concerned. It would matter to people who have all three converts . Thet need to know the order . And yes FMS kids shouldn't be messing around here….. Only A, B and C folks can……. I would give this an average rating by the ABC Standards, mostly because the international summers are not that extensive as what one sees/expects from an ABC…..But given that it is just the summers, its not a problem……The finals are what matters…..
What were you expecting? You have all the continents covered (except Oceania and Antarctica), I wonder what else can one get. Goldman Sachs, Booz & Co. and Morgan Stanley. If one really wants to focus on negatives, these are the 3 big names missing. Doesn't matter though. There are enough opportunities otherwise. Booz as such has never recruited from C thus far, but Goldman and Morgan are regular recruiters. Goldman went to both IIMA and IIMB. Morgan Stanley went to IIMA. Credit Suisse and UBS did not go to B. 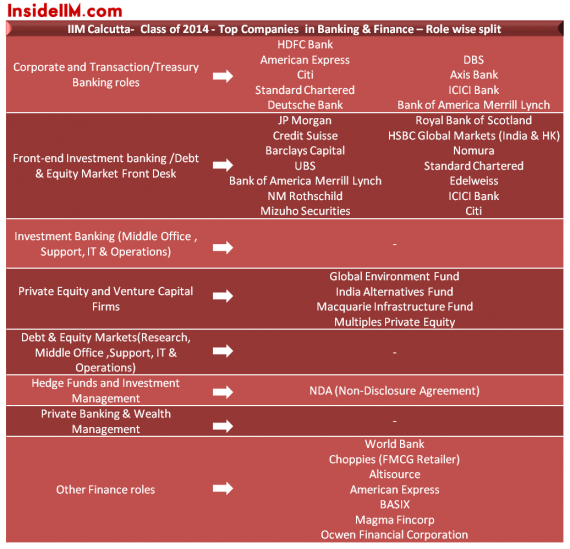 However, all major banks went to IIMA. In crisis perhaps, one gets to know the real pecking order. GS and MS are both regular recruiters at IIMC. This year GS was slotted to recruit but last minute date problems for GS caused them to miss out. Isn't it good if you are not joining a company which doesn't have "enough numbers" .. Just shows the awesome condition the company is in?? right? By your logic, one should not have joined an investment bank as none of the investment banks had "enough numbers". PEs again should be shunned as they never have "enough numbers". Correct? Can you tell me for what locations have BASIX, Rakshak and GamePlan recruited for? These look like off-beat recruiters. XL/FMS are no longer contenders for fifth rank as ISB has overatken them to claim fifth spot. Kudos ISB. Hi…….very similar to the one that i posted…glad to know we think alike…..
Am not very sure about the ISB Thing though….. I got to hear that these days all you need to get into ISb is a 650+ score and 2 years of non-IT Work ex. which according to me is no big deal…….Any thoughts on the same? are you of the opinion that XL or FMS(may be both) are more competitive than ISB? I think ISB GMAT average is nearly 695-700 so it will be about the same range as XL/FMS. But it has more research work so fifth rank behind top IIMs and above XL/FMS. @ Anon – But lets not forget that ISB Batch strength is a major concern…….770 is a big number and one wont be surprised that quite a number will have to make do with mediocre placements….. Batch size is undoubtedly a major parameter to consider when ranking…..We all know the difficulty that Indore had in placing its batch…. Agreed about the big size of batch. Placements are a very major issue. Career change is also impossible. I feel that a two year MBA even at a place like IIFT/IMT/NITIE will provide better inputs in quantitative methods and finance than one year one at ISB which is bound to be more of a general management types. Ultimately, It's upto applicants how much risk they want to take. There is no point comparing a 2 year program vs one year program. The average work experience at ISB is 4-5 years while IIMs have a lot of freshers. Changing the stream is tough at ISB because of absence of summers but not impossible. Coming to the jobs,the profiles offered at ISB are similar to those at A,B or C.So it certainly belongs to the top cohort and surely ahead of IIM-L. Infact there are lof of profiles which are offered exclusively at ISB and IIM A which arent offered across other B schools. Lets not forget the the reach ISB has due to the presence of large no of CEO's and top executives on its board which helps ISB in placing the huge batch. Likewise there are several profiles which are offered at A,B,C (and may be at L too) which are not offered at ISB for whatever reasons. I agree to your point Abhay….. Yes, quite a good number of placements are as good as A B or C….But there will be a good number of candidates who will have to make do with mediocre placements/profiles……I am guessing maybe the last 200-250 students would have it tough to get an ISB-IIMA type placement…..
Well its true for all B schools. If one gets into IIMs/ISB/XL doesnt mean one is going to end up with a day 0 job. "Coming to the jobs,the profiles offered at ISB are similar to those at A,B or C.So it certainly belongs to the top cohort and surely ahead of IIM-L."
i. where is the barometer(statistics) for 'similar and surely ahead of IIML'. Despite the continuous media blitzkrieg I would not even compare ISB with any IIM, even FMS/IIFT/NITIE. Few consulting placements doesn't prove anything. Ability to provide career change is a very important yardstick of a successful business education where ISB has nothing to talk about. ii. One year MBA program guys dont study as much finance or even thorough quantitative skills due to smaller duration of program and probably rigor (of the program). IIMs (including IIML and XL/FMS/IIM-I,K, JBIMS) are much better in this respect. These skills are equally important as one goes higher in the career. Guys/gals lacking these skills will find themselves disadvantaged few years down the line. Having said above there is no doubt that ISB has added a new dimension to business education in India and has much to offer to Indian business and Industry just as IIMs (A,B,C,L and others) have. 1) "Ability to provide career change is a very important yardstick of a successful business education where ISB has nothing to talk about"
Since when has business education come down to placements? It is the overall exposure, peer group experiences,faculty etc which makes the business education valuable. By your yardstick of evaluating business education even a top B school like INSEAD should rank below FMS/XL/IIFT because even that is a one year program and career changes are difficult. The rankings place ISB above INSEAD but there are lots of factors involved while ranking and i have my own doubts regarding them and hence i do not agree completely with the rankings . Placements and career changes are not the only barometers to measure business education and certainly not the most important. Career changes are very difficult when you have 4-5 years of experience in one sector even at an IIM/FMS/XL. If you have 3-4 years of experience in IT and you wish to change career to marketing/finance it will be difficult even at IIM/XL/FMS but not impossible. It may be easier than at ISB because of summers but there is no guarentee. 2)"Few consulting placements doesn't prove anything"
Are you kidding me? Few consulting companies? Please check your facts. All the top notch consulting firms recruit at ISB and so do companies from other sectors and it is upto the students to do well and get the job. 3) "One year MBA program guys dont study as much finance or even thorough quantitative skills due to smaller duration of program and probably rigor"
Who told the ISB program is not rigorous? It is one of the most rigorous programs and more so because it is just a one year program hence its is quite intensive. I cannot compare the rigor to IIMs because i do not have any first hand information about the studies there. 3)"guys dont study as much finance or even thorough quantitative skills due to smaller duration of program and probably rigor (of the program). IIMs (including IIML and XL/FMS/IIM-I,K, JBIMS) are much better in this respect These skills are equally important as one goes higher in the career." Well if you want a tough quant/finance courses you should probably study MS finance or Msc Maths or say undergrand as BBA with finance concentration because the quant is even tougher and hence you will have better skills. Also a tougher quant syallbus doesnt mean better skills. Also if a persons interest is HRM/marketing, the person doesnt need to study as much quant as finance guy so dont equate syllabus with skills. Mba is not about the bookish knowledge. Its an holistic program where one learns as much outside the classroom as inside if not more. 4) I cannot give you a statistical report because these B schools themselves dont not disclose the number of people recruited in particular profile/company etc. If you want to find out please talk to the alumni of these B-schools or people in the industry. Also the ISB caters to a large work ex crowd than freshers like most B schools in India so a lot of people(>5-6 years work ex junta) have preferences while choosing the career and profile and sometimes very particular about the job and want to leverage their experiences so these profiles are not usually offered because IIMS/FMS/XLs do not have students which so much experience. As per my friends, placements never ended in four days. Companies kept on coming beyond the official placement closure day. Some of them were even CAT coaching classes. I do not even want to name some of the other companies. Just because IIMA finished the process at the end of the third cohort while IIMB finished it in four days, I do not think IIMC should try to boast about a feat which it did not achieve in the first place. It is perfectly understandable that placing 462 students is not an easy task. But lying to people is not good. lol….can you please site your source behind this amazing 'truth'? I am a student of IIMC (2012-14 batch). The placement process ended on the fourth day with a few more companies lined up. CAT Coaching centers!!!!! wtf…… If this is the state of IIM C then God help the rest of the B School world!!!! !